When will demographics and demand drive housing, education prices in the UAE? 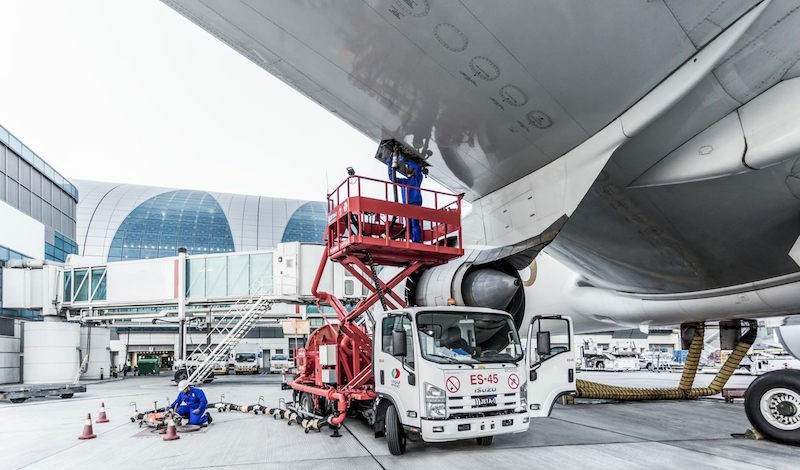 Dubai’s ENOC group has acquired a share in the jet fuel hydrant system at Terminal 2 of Cairo International airport, expanding its aviation operations in Egypt, it announced on Tuesday. The hydrant system at Cairo airport fuels 18 aircrafts at Terminal 2 and has been operational since 2017. It has seen investments from Egyptian and multinational players from the energy sectors. ENOC also plans to open an office for its aviation operations and jet fuel marketing in Egypt, it said in a statement. The announcements follow a recent agreement with the Egyptian General Petroleum Corporation (EGPC) to enable the supply of jet fuel at all key airports across the country. Terminal 2 is one of three terminals at Cairo International Airport – the country’s largest airport and Africa’s second largest. The terminal recently underwent extensive renovation and refurbishment works to accommodate the increase in passenger traffic. New construction and major upgrades on the airside included the aprons, taxiways, connecting roads and a fuel hydrant system. “With an expected 5.8 per cent GDP growth for 2019 and a commitment to diversify markets and products, Egypt offers strong fundamentals for international investors,” said Al Falasi. ENOC currently supplies over three million US gallons of jet fuel daily. Internationally, the group operates in 152 airports across 25 countries in the Middle East, Africa, South East Asia and Europe. It also operates in Egypt through its subsidiary, Dragon Oil, which owns the East Zeit Bay offshore concession. Copyright © 2019 by Gulf Business.